Browsing the charity shops? Some record collectors actively seek out clean and shiny CDs to fund their filthy vinyl habit. Forumusic presents an Antiques Roadshow style guide to some known and lesser-known ones. 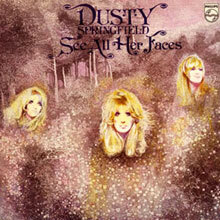 Some Dusty fans think See All Her Faces is her best album. It's certainly a close call between this and Dusty In Memphis. The vinyl is fairly easy to find but the remastered 2001 CD is now sought-after courtesy of three bonus tracks unavailable elsewhere. Six bidders competed for one recently and it eventually sold for for £64. The question is: 'Why on earth would anyone want to sell it? File: Smokin' UK femme soul to keep. Described by the NME as Bristol's scariest band, the vinyl version of their second LP Everybody Knows We Got Nowhere is a Popsike staple. The original CD on Sweet Nothing Records from 2000 is rising fast as all things psych continue to resonate with collectors. Copies are still attainable in the £30 to £40 bracket but may not be for much longer. 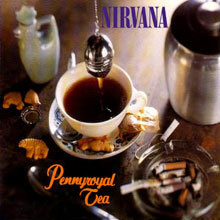 Released with I Hate Myself and Want To Die on the B-side shortly before Cobain committed suicide Pennyroyal Tea was hastily recalled and destroyed but some escaped. If you find one don't allow your pulse to race until you've inspected it thoroughly. The many fakes around confirm the rising collectability of CDs. This Private Burn called Heard It All Before is so well known it has a Wiki page all to itself but here's the gist from Jamie's Wiki page. 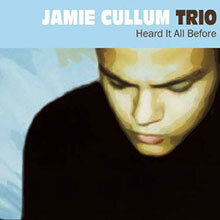 With only £480 to produce it, Cullum released his first album heard It All Before in 1999 of which 500 copies were made. Due to their rarity original copies have sold for as much as £600 on Ebay. A Piece Of Strange is a complex and compelling Hip Hop masterpiece from 2006 that's getting more expensive on all formats. Check it out on YouTube then buy to keep. It's so loved there is a website dedicated to unravelling it. If investment is your bag though, the limited double CD with an extra disc of instrumentals is rising steadily and currently dwells around the £35 mark. A very collectable record label right now via limited editions, regular advertising in Record Collector and a steady stream of neo-psych releases. 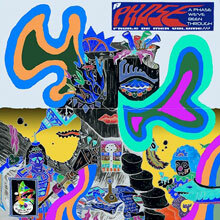 Fruits De Mer released the CD A Phase We've Been Through Vol. 17 exclusively to FdM members, bands and supporters. Six keen bidders pushed the last sale of this to £179.77. Blimey! Jazz Juice albums released between 1985 and 1988 are great and the 90s Beechwood CD reissues are cheap. The original Canada-only CDs are not. 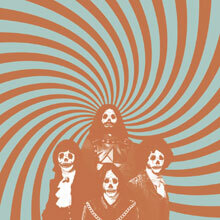 Identifiable by the Streetsounds label and covers identical to the original LPs they are hard-to-find and sought after. This is another instance of 80s CD releases leap- frogging LPs in value. 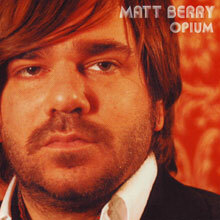 A sequence of much-loved Brit-folk flavoured albums by talented writer, actor and comedian comedian Matt Berry is steadily pushing up the price of Opium. That's a sentence he may appreciate. This was a CD-only release by his agent in 2008. Hopefully this heads-up will be seen by very few people and we can pick one up before it hits £50 or more. It's yellow, says Yello, has a Volkswagon badge on it and never sells for less than £100. 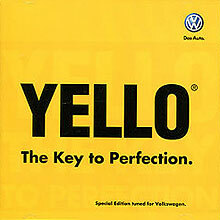 Yello re-recorded a whole bunch of their songs for a VW advertising campaign. The tracks were released on this CD which was handed out to VW employees and customers at various European trade fairs. It's only ever gone up in price. A steady riser. File: On the yellow shelf. Find a bare-jubblied Paris 'debut' like this one and head straight to Go to collect between £400 and £600. This is the cover of the infamous limited Banksy 'reissue' which he gifted to CD shops all over the country in 2006. Check the tracks: Why Am I Famous? What Have I Done? What Am I For? 500 were distributed, their value is still rising but the original Paris can still be picked up for pennies. Fun. Copies of this still sell for £30 to £40 to 30-somethings desperate to hear 'that CD you used to play in the car Dad.' Ebay may gift you one for less but once you've heard it you'll want to keep it. 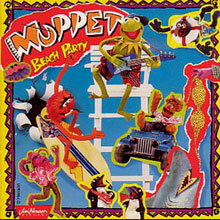 It's a superb sing-a-long CD for children of all ages and you don't have to like the Muppets to appreciate their versions of 60s and 70s hits. Never available on vinyl Agnes but I do have a spare for you. In the world of micro-record labels the 21st century's tail grows longer by the day. Paradigms Records issue CD and vinyl with beautiful screen-printed sleeves in limited runs as low as 50 . Scottish psych rockers Cosmic Dead's S/T debut sold out as fast on limited digipak CD as it did on vinyl and Ebay desirability has ensued. It's well worth punting on micro label/ self-released CDs to support the artists anyway. The annoying bonus tracks trick is beginning to bodypop a chord with collectors. The vinyl of this is cheap but this early 80s OST with CD-only bonus tracks is damn tricky to source. Deep collector interest in OSTs gained momentum after the birth of CD so many interesting soundtracks are only available on this format. Look for the Intrada Special Collection banner. Intrada specialises in movie and TV OSTs and began limiting their releases in 1985. Always worth picking up if you see them cheap as some titles fetch £50 or more. Amidst some dross there are excellent recordings by David Shire, Henry Mancini, Dominic Frontiere, Bernard Hermann and Jerry Goldsmith. This CD sold slightly shy of £50 recently. The vinyl version is easy to find. 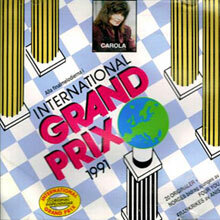 Produced in Norway it contains entries to the 1991 Eurovision Song Contest. Eurovision Song Contest completists will be grateful to you for finding it in a charity shop and will happily buy it from you. Be careful though! Many very easy to find Eurovision Song Contest CDs sell for null points. The force is always strong with Jack White and Third Man-related artists. Ridiculously so. 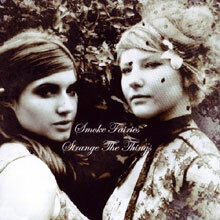 Smoke Fairies 2006 CD Strange The Things was released on the tiny Concentrated People label. Three years on they signed to Third Man and four years later this rare debut CD commands £200+. Other Third Man acts experience a similar level of interest in their early work. 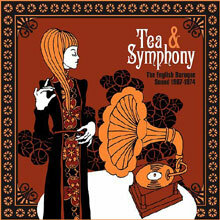 In the early 00s record collectors cherished folk music that was wistful, melancholic, baroque, funky and wyrd and compilations trickled out. Bob Stanley's sleevenotes for this are superb but this isn't the best one. Regardless of that it has risen to the top in terms of desirability and value and sells for close to £100. Best punt on others that are rising then. Thousands have the phrase Beatles Rarity in their Saved Searches. 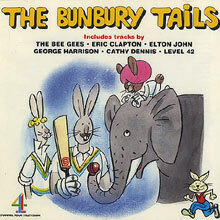 Bunbury Tails was a short-lived Channel 4 80s childrens programme. 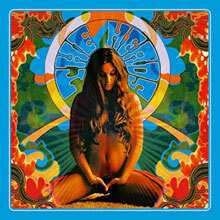 The soundtrack got a limited CD-only release and contains an exclusive George Harrison track called Ride Rajbun featuring his son and Ravi Shankar. There are exclusive Bee Gees songs too. If it's gold you seek then the original 1992 release is the one you need. Another very well known one. Mate. Feed. Kill. 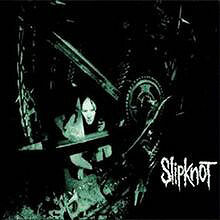 Repeat was the first CD released by the American band Slipknot. The limited edition of 1,000 was distributed to fans, radio stations and record labels by the band themselves. It's now very sought after but steady as you go. It has been booted many times. Missing Links Volume 2 is not rare but it's another one rising courtesy of tracks you can't get anywhere else including eight excellent Nesmith songs. 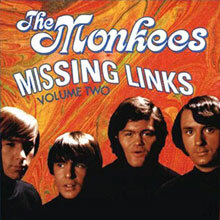 To many Monkees fans these songs , recorded for the TV shows, are better 'takes' than the official studio versions. Volume 2 is widely praised as the best. File: Get it whilst it's cheap and keep it for the music. Worth Googling. WHR is a CD label linked to a hospital radio station. The CDs are compiled by volunteer hospital radio DJ Steven Wills and all profits go to assist the daily broadcasting and visiting service. Girl In A Suitcase regularly changes hands for £100+ and later releases are also getting expensive. 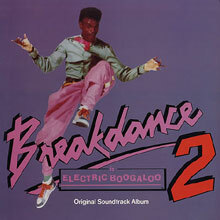 Musically they're solidly entertaining theme and library music compilations worth owning. A number of Bill Nelson's soundtrack / library / ambient solo works on CD are sought after and well worth hearing. 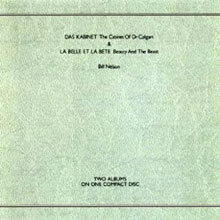 This double CD from 1989 is one of his rarer ones and contains two albums: Das Kabinet and La Belle Et La Bete. The vinyl is a lot cheaper. There are dedicated fans and a Bill Nelson forum and this is another steady riser. Rochester is the famous 'tour-fund' CD. 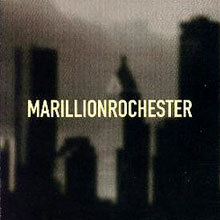 Devoted North American fans of the 80s neo-Progsters clubbed together and raised $60,000 when Marillion were down to their last stage prop. Fish and fellow fry gifted everyone who donated a double live CD of their Rochester show. 1,100 were signed, 900 unsigned. Both fetch proper money but are coveted by the fans so rarely appear. How long before Private Burns enter that Rare Record Price Guide tome? We're not signed up so they're probably in there already under the long-winded Self - Released Artist CD-Rs heading. 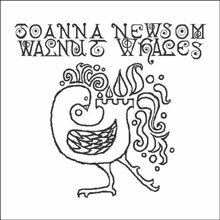 Like the boy Cullum, Walnut Whales follows the Private Burn released prior to a record deal and critical and commercial success template. File: Prepare a shelf, there's a lot more of these to come. 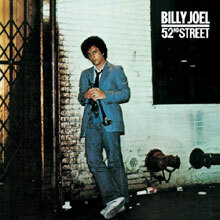 Not the first CD ever but one of 50 released simultaneously on October 1st 1982. Google Collectable CDs: The World's First 50 CD titles for the list and how to identify them. So many were sold that this and the rest are still relatively cheap as Buy It Nows and they haven't to our knowledge been faked. It would still be nice to find a 35DP 1 52nd Street in the wild though. It's almost as good as The Stranger. While we're on the World's First 50 CD titles here's 38DC 1. 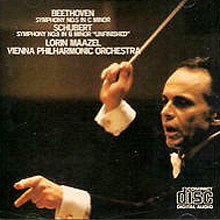 It's Maazel conducting the Vienna Philharmonic performing Beethoven Symphony No. 5 and Schubert's Symphony No. 8 (Unfinished). Not expensive, but definitely historic. The launch of compact discs was carefully controlled to sidestep any one CD being the first release. Now That's What We Call Wisdom. No Forumusic article introducing collectable CDs would be complete without a naughty pirate compilation from the 90s slipped in. 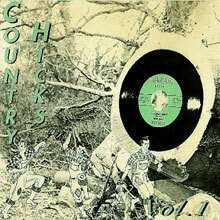 Bark Log records issued a series of unlicensed, obscure country-flavoured rockabilly compilations in the early 90s but only Country Hicks Volume 1 made it onto CD. Once again, the LPs are relatively easy to locate but this little silver thing is something of a rarity. No great secret. A recent TV documentary outed the famous Volume 4 as highly collectable, something that had been known about in record collecting circles for quite some time. Cue a slew appearing on Ebay and yes, they're still selling for between £300 and £400. Volumes 8 to 20 can also fetch £30 or more so keep 'em peeled. Part 2 will be heading your way when we next have a minute. We're presently sitting on the floor with a set of instructions and a bag of screws constructing a sturdy display case for a variety of Collectable CD articles which will appear here in 2014. Thank you for reading and check back soon. We hope inclusion of words like collectable, investment, rising, bidders, selling, Ebay and the inclusion of dollar and pound signs hasn't left our vinyl-loving readership feeling sullied by the mercenary aspects of this article but paradoxically it was written with vinyl collectors in mind. In recent years the number of charity shops with no vinyl has increased. A valuable find on the CD shelves can only boost your PayPal balance and assist e-boutique digging sessions seated at the computer drinking tea wearing only underpants and a T-shirt. In Collectable CDs part 2 we'll be digging deeper by examining devoted fandom which fuels collectability, rapidly growing interest in 90s & 00s library CDs, the truth about Polydor red faces and the mystique and myths of West German Target collecting. We''ll also bang up more scans of CDs worth money.